We all get up in the morning and take one of various options available to commute and spend hours to reach office (if you are the one driving, traffic and road rage take an additional toll). If you’re lucky you reach in time, hopefully your mood not spoilt enough to damage the entire day that beckons! Just as you’re about to sit down and crank up your laptop to begin work on that unsatisfying project that you were recently put on by your manager, a colleague checks in to see if you have a moment. That moment turns out to be an hour long fruitless discussion that could have been avoided completely had she bothered messaging you on chat instead. When can I get down to some actual work!? Phew- the myriad unproductive meetings, the constant background chatter, a distinct lack of any kind of visual privacy and a completely impersonal work space disturbs the experience even further! Before you know it, the day is done, you couldn’t finish what you were supposed to, and you’re stuck in traffic on the long commute home. You reach home, realize you can’t work out today as well and wonder how long it’s been since you did any physical activity. You recoil in horror- this way of working is just not sustainable! Is this how we’re supposed to spend our lives? Isn’t this a really stupid way to get work done? Think about it- the approach that we’ve taken towards work hasn’t really changed since the dawn of the Industrial Revolution. The way we work has remained the same for the last 300 years. Whereas, a couple of paradigm shifts have occurred in the interim. Software has made it possible to disrupt the world as we know it — sitting in a little corner armed with a laptop and an internet connection, you can change the lives of people across the planet! The internet has enabled the hyper-connectivity to reach out to anyone, anywhere. This has led to a rapidly expanding section of the society engaging in knowledge work, harnessing human intelligence to create great value. You don’t need to go to a physical location to work with people any more- seamless collaborative tools let you interact with colleagues like you’re sitting right across from them! Technology makes it possible for you to attend a live Skype meeting while sipping coconut water on the beaches of Bali, design the latest iteration of your product taking inspiration from the backdrop of the mighty Himalayas or even finish your presentation on the latest product analytics at your co-working space in a quiet, suburb of Amsterdam! Millennials, now demand more meaning from their work, than ever before. It’s not just about the money anymore! They yearn for purpose beyond the paycheck. They want their work to reflect their true self. Like all humans, they harbor dreams, but unlike the previous generations, they demand the autonomy and the opportunity to be able to lead meaningful lives. It is fundamental to human nature to dream, explore and discover meaning- both professional and personal. Professionally- the freedom to explore several, diverse opportunities and master those that truly satisfy you, allows you to unlock your full potential. Personally- the freedom to work from anywhere, anytime allows you to reconnect with yourself and your loved ones! To strike a harmonious balance between the two- that is the ultimate goal. Eight months ago, four of us sat in a room while I recounted my recent exploits from Vietnam. I was inspired by the digital nomads I met on my travels which got me thinking about the way we work. During that casual conversation, something just clicked between Ishan Shrivastava and me, and all our common beliefs and philosophies just came together. In that one defining moment- we knew we’d found our calling. That night, we embarked on a journey with a mission to enable freedom and fulfillment for all. “What will you guys call this?”, a common friend sitting in that room, casually asked. Inspired from ‘indie artists’, indie stands for independent. A “z” was further added at the end to represent a community with a shared purpose rather than an individual working alone. Indiez is a movement to enable freedom and fulfillment for all. What started in March 2016 with a small web development project and a couple of us on a Slack team has grown out to become a flourishing community of more than two hundred diverse individuals- the seed of a movement, ready to be taken to the world now. 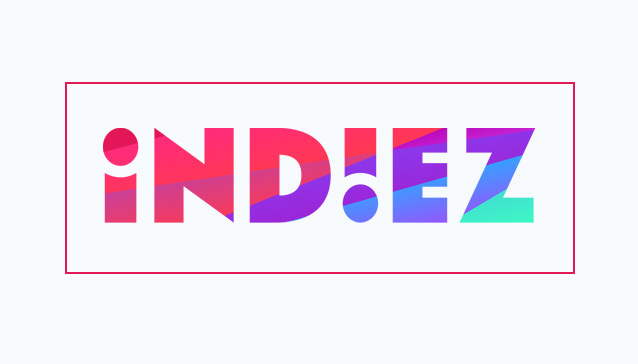 Indiez is a community of independent designers, developers and product managers who have come together with a shared purpose to build the #FutureofWork. Finally, nothing can express our identity more profoundly than the stories of the people who make up this community. Abhishek serves the underprivileged through his not-for-profit skill development startup, while making ends meet for himself and his team by building great products for other visionary founders. Rahul, a painter by training, learnt how to design digital products by taking on any UI work that would come his way, is today a globally recognized designer. Aparajita designs and develops beautiful iOS apps while simultaneously pursuing her dream of being a professional drummer. 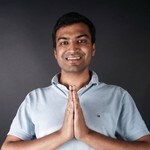 Sumeet, a full-stack developer traveled South East Asia and forged new friendships, while working from anywhere, anytime. These are all real people that I work with everyday. And there are hundreds of such amazing individuals, each with their own unique story, who inspire us to fulfill our dreams! But they are not alone- Indiez is with them every step of the way! Using our proprietary technology and our community, we augment their capabilities to help them overachieve. This has empowered the community to enable visionary founders realise their dream products. We’ve built delightful products ranging from mobile apps to complex AI algos! Just how have we done this? Stay tuned- in the next blog post we’ll share how exactly we’re using technology and intelligence to build the Future of Work!